On this week’s episode, the insane Sean Connery sci-fi oddity, Zardoz. 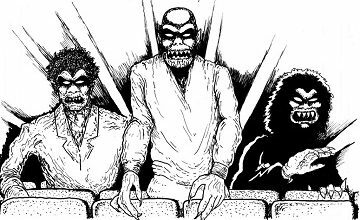 In a dystopian future, 2293, humans are subdivided into Eternals and Brutals, and live in The Vortex. The latter is all Id: acting like rampaging Vikings or Mongols. The former, peaceniks who lead an agrarian sexless, dull existence, but with the added benefit (or curse) of being immortal. Sean Connery is Zed, a Brutal Exterminator, who hides aboard Zardoz, a giant floating head, temporarily “killing” its Eternal operator-creator Arthur Frayn. And then things get weird! 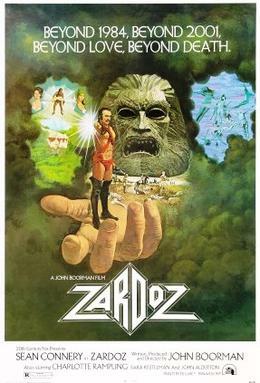 Slap on your codpiece, show off that chest hair and join us for a journey to planet weird for the oddly fun Zardoz.